​Creatine is ​another supplement that has a universal action. ​It affects the absolute power, explosiveness, strength endurance and aerobic endurance when in combination with other substances, such as beta-alanine. Creatine shows positive impact also for lovers of bodybuilding who aim to increase their muscle mass. ​Protein is such an additive, whether in the form of whey, milk, egg, casein or protein matrix. ​Protein is vital for the recovery processes in the body and is suitable for anyone to use. ​​Finally, we should include fish oil also to this group as it is the best source of omega-3 fatty acids. ​Health supplements, such as digestive enzymes, joints and cartilage formulas, and probiotics that have general health benefits to the body, should also be put in this group of supplements. I would recommend the following product, as I use it and I know that they do not cause acne or any similar skin problems. I will show you one of my favorite female supplement stacks, aimed at women that practice sports, providing all the necessary nutritional supplements for a good shape and tone. 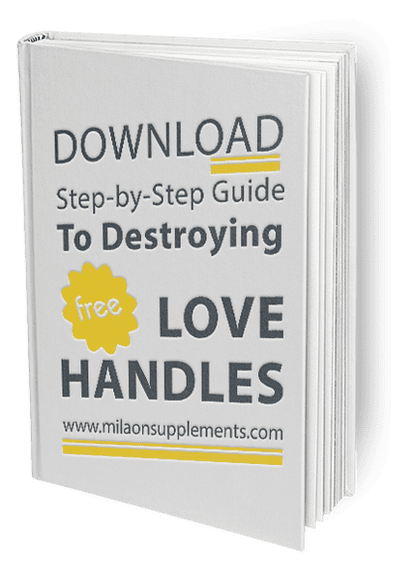 This supplement stack for women has a special combination of everything necessary for a woman to maintain her tone and good-looking appearance at an optimal level. L-carnitine is an amino acid, whose role is to provide energy to the body. It transports fatty acids with a chain to the mitochondria - the energy centers at the cellular level. There they get burned in order to provide cellular energy for the entire organism. ​Body waste products are exported back by the amino acid, thus ensuring the health of the cells. That is how fat - including subcutaneous fat – gets burned in the most useful way and the body does not have to break down proteins for energy. ​This helps with the building of muscles, their recovery and ability to overcome fatigue. Thanks to the action of the amino acid, the muscles are richly supplied with oxygen and the formation of lactic acid during workouts is minimized. ​The muscles are protected from injuries. NOW Foods EVE Superior Women's is a product for active women. It contains the entire spectrum of vitamins and minerals, supplemented with herb extracts, green foods, and enzymes. The capsules are coated with natural chlorophyll. EVE Superior Women's stimulate potency, maintain the beauty and strengthen nails and hair. Chasteberry and sweet potato extract take care of the hormonal balance. Eleutherococcus extract is a powerful antioxidant that improves memory, eliminates fatigue and stress, and increases the concentration and overall performance. Chinese Angelica helps with many diseases but it mainly balances the female hormonal system. Royal jelly is used as a general health stimulant and a slowing aging substance. BCAA became a widely preferred sports nutritional supplement. The more heavily you exercise, the more difficult the recovery between workouts is. BCAA is a supplement, whose special power is to promote rapid repair of all muscle damage. The product can be successfully used for both periods for increasing muscle mass and reducing excess fat. In the first case, they will be part of your muscle fuel; they will reduce overall muscle fatigue and improve your endurance. ​Then they will successfully cope with the task to help repair any damage by making the muscle mass grow. ​In cases of reducing excess fat, BPI Sports BCAA will help you reduce the loss of muscle mass to the minimum while still training hard in the gym. Now Foods, EVE Superior Women's Multi Softgels - take 3 tablets with the first meal of the day. Muscle Pharm, Liquid Carnitine Core​ - as a dietary supplement consume 1 serving (16 mL) of MusclePharm Carnitine Core one to three times daily. I would take 1 serving in the morning and 2 serving in the evening and before bedtime. ​On training days - 1 serving in the morning and 2 servings 30 minutes before your workout. I will present 3 Workout Supplements For Men who want the best for their body, muscle tone and good physical appearance. This stack is a special combination for seriously training men, who workout hard and are looking for better and better results. As you probably know, proteins are the major muscle building blocks. There will be no muscle growth if there are not enough proteins. The source of proteins is also important. The beef protein has gained significant popularity during the recent years and is one of the most chosen supplements by users. The facts are simple - when proteins come from animal sources, proteins are still proteins and the differences are not so big. ​Beef Protein from MuscleMeds, however, has its advantages. The product has undergone a process of hydrolysis, which has made it extremely well and rapidly absorbable. ​Thanks to the hydrolysis, its solubility is also greatly improved and the amount of protein in each dose is higher than the average - 25 grams. Creatine is stored in the greatest amount in our muscles since they are some of the largest organs requiring continuous energy. The stored there in creatine phosphate can be increased many times, as for this purpose more creatine should be taken, either through our food or as a dietary supplement. Unfortunately, the intake of large amounts of creatine through food is impossible for most people. If we take, for example, beef meat - 1 kg contains about 4 grams of creatine. Few people are able to eat such meat quantities daily or to have the appetite to do so. The intake of creatine as a dietary supplement gives the body the required amount of creatine within a few minutes without any problems. After several weeks of daily intakes, the creatine stored in the muscles increases significantly. ​More creatine in the muscles means more strength and endurance. ​The muscles in return bring greater incentives for muscle growth and better performance in sports. ​You can find all the vital vitamins and minerals for our body in NOW Foods ADAM Superior Men's Multi. The most important of them, which are most needed for serious sportsmen, are with higher doses. Some of the most powerful antioxidants - coenzyme Q10, alpha lipoic acid, lutein, and lycopene are among the ingredients of ADAM Men’s Vitamins. ​Besides fighting free radicals, the alpha-lipoic acid has insulin-like properties and helps cells to better use the glucose in the blood. Nowadays we have a fast-paced lifestyle and not all of us have the opportunity to have a balanced diet and to eat a lot of fruits and vegetables. The strong formula of ADAM will help you fill in the areas lacking in your diets with a full dose of multiple vitamins. This supplement is suitable for serious athletes, who need little higher doses of vitamins and minerals. ​The added herbs, green foods, and antioxidants will help your body fight the free radicals that seriously damage the cells. MuscleMeds Carnivor Bioengineered Beef Protein Isolate - take 1-2 times daily or as per your daily protein needs. One of the intake should be after a workout. Now Foods Creatine Monohydrate Micronized - take 1 level tablespoon (5.0 g) per day.